Random Beauty… Smooth, Calm & Hydrate your Combination Skin! Even if you have oily or combination skin, it’s important to moisturise. Cleansing alone simply strips your natural oils away, so in response, your skin will pump out more sebum and oils in a bid to replace those lost, and you’ll be back to where you started! The secret is finding the right moisturiser for your skin type – I have skin that gets really oily around the T-Zone and is fairly normal everywhere else, and prone to spots in certain areas (I don’t seem to have grown out of this even though I’m well beyond my teenage years)! As a result, my make-up can often start to slip during the day, which is even worse if I’m wearing a moisturiser that isn’t quite right. The one I’ve been using for years has now been discontinued, and I think I’ve been lucky to find an alternative almost instantly – thanks MyPure! MyPure sent me the Balance Me – Balancing Face Moisturiser to try out, and I must say I’m delighted! 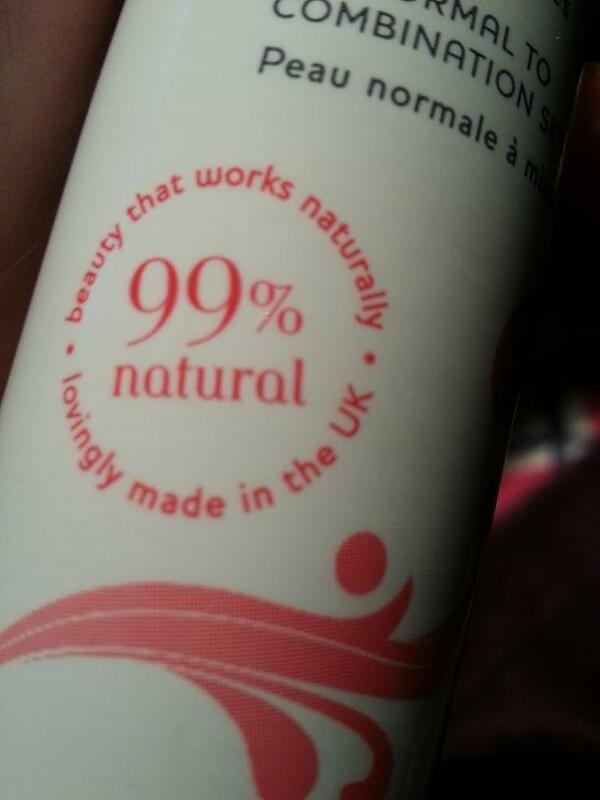 It’s made in the UK and is 99% natural. This is very important to me, as absorption of products/chemicals through the skin of the face (and scalp) are 5-10 times higher than on other parts of the body. I like to maintain as chemical free as possible, as I really do believe that some chemicals build up and hang around. Clearly that’s a personal preference of mine, but that’s a definite positive for me, for the Balance Me range! The Balancing Face Moisturiser combines a lovely combination of oils rich in essential fatty acids, as well as a great blend of neroli, skin brightening bergamot, frankincense, soothing petitgrain, lemongrass and spruce knot. It works to moisturise, balance and help to prevent blocked pores. I often get an increase in redness on my face after showering, and find that this moisturiser really soothes immediately and makes my skin feel calm and smooth. It sinks in really quickly and I can easily apply my make-up without waiting ages. My make-up stays on much better when using this, than any other moisturiser I’ve tried. It’s just so light, and I only need a tiny bit. At £24 or 5oml, it may not be the cheapest, but the tiniest amount goes a long way and it will probably last ages! I’ve noticed an improvement in the frequency of spot outbreaks too, and I’m sure it’s down to this, as I haven’t changed anything else in my skincare regime. I’d highly recommend this cream to anyone – even those with normal skin. It’s so light under make-up and a lovely treat for your face – especially at this time of year, with the combination of cold weather and central heating. Wrap up Warm and Look after your Skin! This product was sent to me free of charge, from MyPure, for review purposes. All opinions are my own. Previous Post Random Beauty… Mini Brushes are go!